In today’s post, I have prepared a TON of info that, if you start applying it right away, will grow your business dramatically. But for this, I need your undivided attention. In sales, as in life, your abilities to ask questions, listen, and demonstrate understanding are really what separate the amateurs from the pros. Don’t do the dreaded “show up and throw up” when it comes to communicating with your customers. And please stop talking about “objection handling.” When you have to handle objections, you are too late. As I mentioned yesterday, I am preparing my sales training program and want to give you some insights on how you can close more sales for your business. Remember that the first buying decision your customers make is always that they buy YOU – this is the cornerstone. Customers do business with you because of your expertise, your credibility, and your ability to uniquely solve their problem. Before they buy your company, product, price, or time…they buy YOU. Connect: Your ability to build rapport with your customers. We will be going into this more in the next few days. 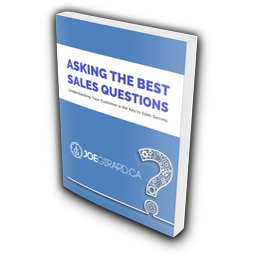 Question: The BEST salespeople ask the BEST questions. Today, we will be focusing on questioning skills. 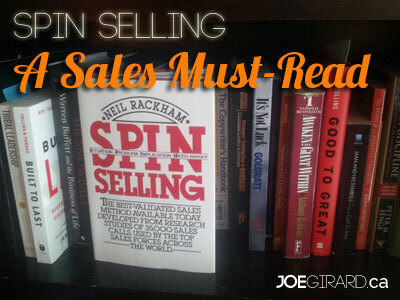 And I will review one of my favorite resources, SPIN Selling by Neil Rackham. 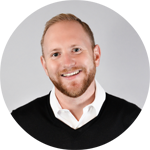 I am a fan of data-driven insights which is why SPIN Selling was always a favorite of mine having done a 12-year, $1 million research into effective sales performance tracking 35,000 sales calls. They tested their methods and actually built amazing insights which is why SPIN Selling has been used by many of the top companies around the world and regarded as one of the best training resources on sales questioning skills. Why are Questioning Skills so Important in Selling? You know the scenario. You walk into a store, you are greeted by the “salesperson,” and they ask how they can help you. You tell them the product you are looking for, and are quickly bombarded with the “pitch” of some product. Features, benefits, brochures, blah, blah, blah! Kill me now. I see it all the time. Amateur salespeople have given the profession of customer acquisition a bad name because they have not taken the time to understand the basics of customer (and human) dynamics. They are just waiting for their turn to speak, jump in, and dominate the conversation. Typically, this is based on their own insecurities and just trying to sound smart. The best salespeople hardly talk at all. They ask smart, engaging questions, listen, then seek understanding. Have you met any of those? The people who can really seem to get in your head and empathize with your situation? And then when you start talking about product options, you are ready to buy whatever they are selling? That is what good questioning can do for you. In today’s complex, longer sale cycle, buyers are more often making their decisions in the intervals between interactions with the salesperson. They are doing so with incomplete information. Meaning that in order to ensure you stay top of mind, your questions need to give you greater understanding of your customer’s problems so you can create simple, yet powerful calls to action. And your sales presentation must be tailored to meet their specific problems. In order to do that, you must ask awesome questions that uncover their needs and you have to get inside their heads. How much of what you said will be remembered by your customer when you are not there? How much of what you said will be remembered by your customer when you are not there? Then when you follow up with them, you have the ability to tap into those hot buttons, create individualized messages, and leverage the emotional ties you have created based on their unique problems. You can’t build those connections just by telling in your sales interactions. You must ask. You must listen. You must define the need. Make sense? Cool! In 1925, EK Strong published “The Psychology of Selling” which first introduced the idea of sales techniques; such as features and benefits, objection handling, closing, and open and closed questions. Do any of those terms sound familiar? Well if you are still focusing on them, remember they are from 1925! The origins of selling were all about getting people to YES with techniques and smooth processes. And these are the concepts that are still being taught today, empowering a generation of amateur salespeople making customers feel…well…icky. In the 1970’s, a few people began the research into the differences between small sales vs complex sales and Neil Rackham was on the forefront of that change. The reason SPIN Selling came about in the 80’s was that up until then, sales had not really changed since the 1920’s. SPIN Selling actually pioneered and kicked off the consultative selling era. Success in sales meant that you had to actually become part of the process and work with your clients to solve their problems. Not try to hoodwink them into a purchase. There is one more breakthrough over the past few years that has taken the sales game even further, but I’ll be covering that in a later post. Make sure you are subscribed, so you don’t miss out. Years ago, when I first read SPIN Selling I thought I had stumbled onto some secret formula for questioning. Turns out I did! It was developed with the larger sale in mind, not the low-value, one-call sale. However, if you have a customer buying cycle that is short and transactional in nature, you can still apply great questioning skills, so keep reading. 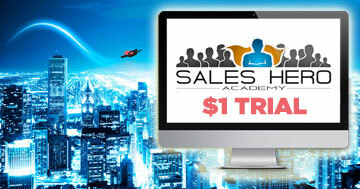 I was taught sales in a more traditional way and SPIN Selling flipped that training on its head. That’s what sales people have been trained to do – uncover needs with open and closed questions, to overcome objections, and to close for the business. And that is what caused so many salespeople to fail as the complexity of their sales grew. Perhaps in the low-value, one-call sale these techniques work, but how quickly do people see through this today? How many of your clients actually appreciate the back and forth of probing, objection handling, and closing? How many of them get quickly annoyed? Yikes! Investigating Needs: Use open and closed questions to find out what offer you will sell. Keep them mainly open so you can get them talking. Objection Handling: Almost every sales program teaches us that THIS is the most important skill. Quick tip: Selling should concentrate on objection prevention instead. Sound familiar? That’s what most salespeople will tell you their process is. And then they have to continue to explain why they don’t make their numbers. If your customers aren’t returning your calls or coming back to see you, perhaps they don’t want a repeat dose of the pressure you put on them? Okay geez Joe, get to it already! Hey, I wanted to make sure you had the background first, so you’re ready for the goods here. Implication Questions: In the smaller sales, sellers can actually be very successful asking situation and problem questions. As the sales complexity grows, so does the need for a more sophisticated question. Implication questions help the customer feel urgency, explore problems, and outline consequences. Ie. “What will this problem do to affect your profitability?” or “What happens in six months if you don’t solve this now?” or “What does this challenge do to alter your customer satisfaction levels?” Starting to see the difference? Obtaining Commitment. Sure, closing the sale is about commitment, but what else can you get your customer to do as you move the sale along? I cover three levels of commitment objectives for your sales calls as well as examples of commitment objectives in my training. How Can YOU use SPIN Selling in Your Business? Start listing your questions today! I would suggest you outline the top ten problems your customers have and questions to uncover the details and severity of those problems. Then map out how you will use these in your next sales calls. The info below was all adapted from the SPIN Selling book. Do you make the purchasing decisions? What do you see as your objectives in this area? What’s your annual sales volume? What equipment are you using at present? Are you satisfied with your present supplier? What are the disadvantages of the way you are handling this now? Do these old processes give you service problems? Has time management been a problem for a while? Is it difficult to keep up with the increasing workload? Problem questions will always be more successful than situation questions, and in smaller sales, more problem questions actually lead to better results. 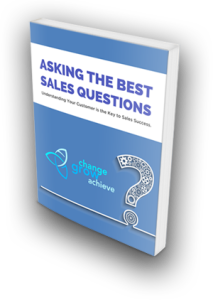 More experienced salespeople ask good problem questions. Often, amateur salespeople jump right into features and benefits once they have bombarded their customer with situation questions…because they don’t know what else to do! I remember doing that when I first started out. Quick, grab the marketing materials and show them the pretty colors! Phew! Get up the courage to dig deeper and ask your customers about problems. If you can’t ask about problems, you can’t talk about solutions. But once your sale becomes more complex, understand that problem questions are just the beginning. What effect does that have on output? Could that lead to increased costs? Will this slow down your proposed expansion? How would this affect your service levels? How would your sales team be affected by this? Would your customers be upset with this change? SELLER: (Situation Question) Do you use Contortomat machines in this division? BUYER: Yes, we’ve got three of them. SELLER: (Problem Question) And are they difficult for your operators to use? BUYER: (Implied need) They are rather hard, but we’ve learned how to get them working. SELLER: (Offering a solution) We could solve that operating difficulty for you with our new Easiflo system. BUYER: What does your system cost? BUYER: (amazed) $120,000!!! Just to make a machine easier to use! You must be kidding. And so on, until the customer sees that the seriousness of their problem far outweighs the cost of the solution. The example is in manufacturing, but these questions apply to any service based business as well. Write down your most common customer problems and the questions you would use to highlight those problems and create understanding. These implication questions are VERY POWERFUL. Break out the big guns because need-payoff questions are the secret weapon for massive sales success! Why is it so important to solve this problem? Would it be important to know why you lost your last sales? How would a faster response time affect your satisfaction rates? How would faster, more accurate accounting affect your forecasting ability? What would more time with your family do for you? They focus on the customer discussing solutions rather than problems. You create an atmosphere of discussion, rather than negotiation. You have the customer actually telling you how they would use your solution. And most importantly, this is the most genuine, fun way to sell! You wanna know the BIG reason why need-payoff questions work so well? 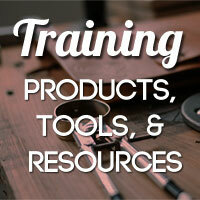 They help your customer rehearse the solution for internal selling to other stakeholders. Have you ever heard of the “spouse factor?” That’s where your customer goes home and says, “My husband/wife doesn’t think we should.” All you network marketers out there know this all too well! The spouse factor is the same as the buying committee, the same as the stakeholders, the board, the management team, the CEO, etc. Doesn’t matter – use need-payoff questions to turn your customer into a confident, empowered, raving fan, and advocate of your solution! By using need-payoff questions, you dramatically increase your win rates by empowering your customer to be a super-salesperson. 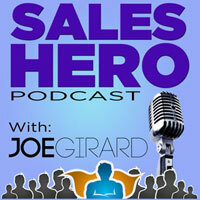 By using need-payoff questions, you …empower your customer to be a super-salesperson. This was a big post, and I am glad you made it to the end. Please comment below and make sure you share this with everyone that could benefit from it. I look forward to hearing what you have to say! 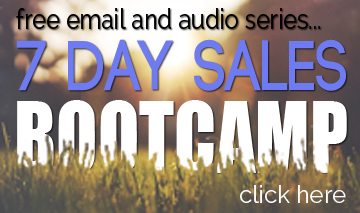 And as I mentioned, stay tuned for some very cool stuff I am building that will help you skyrocket your sales. 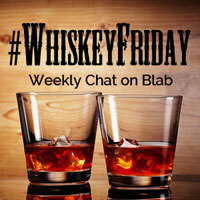 And as always, email me at [email protected] if you want to discuss any of this personally. Really helpful Joe thanks for taking the time to do this and share it for everyone. Thanks Elliot, glad you found it helpful. How do you think you will apply these questions? Thanks Joe. I am just about to go to Germany on a ‘Meet the Buyer’ event. I have never attended anything like this before and I’ll certainly be using your technique to learn more about all the contacts I meet.